CatDog aired before my youngest daughter was even born but that didn't stop her from enjoying the series on DVD. Every night before bed she requested to watch CatDog and that became the tv show that we would wind down to every might. On DVD October 14, 2014! 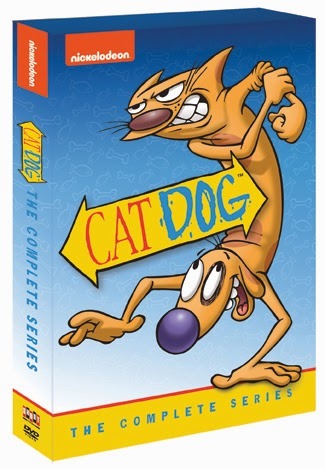 Originally airing from 1998-2005, CatDog: The Complete Series features an all-star voice cast which includes Tom Kenny (SpongeBob SquarePants, Rocko’s Modern Life), Jim Cummings (The Super Hero Squad Show, Reno 911) and Carlos Alazraqui (The Fairly OddParents, Rocko’s Modern Life).